Local, National and International Artistic Director, Nick Clarke trained at Drama Centre, London. 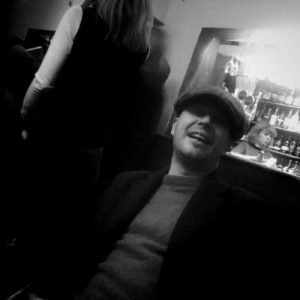 Nick then started producing and directing site specific theatre in Manchester in the early 1990s. As artistic director of Fink On Theatre (2005 – 2010), he collaborated with European artist and companies, such as The Gothenburg English Speaking Theatre on “Expectations”. This received the prestigious Fringe Review Award for Outstanding Theatre at The Edinburgh Fringe Festival, August 2010. Additionally, Jon Gunner, artistic director of Icelandic Company Silfurtunglid on “Lilya”. This was a theatre adaptation of award winning Swedish film maker Lukas Moodysson’s “Lilya 4-Ever”. Nick created and directed the critically acclaimed Crying in the Chapel as a co production with Contact in their main space in 2010 to packed houses over a two week period. Since then Nick has conceived and directed several large scale productions, centred around Indian stories. These have been for outdoor arts experts Walk the Plank. Examples include Nine Nights in Belfast, Cast the Light for Manchester Diwali celebrations and Arts Council Strategic Touring show Spellbound. All of which were presented across the UK to audiences in there 1000’s.